Jim Hill was one of the great railroad tycoons, founding and expanding what eventually became the Great Northern, today the Burlington Northern. His incredible persistence, competitiveness and focus on quality infrastructure and lowest cost per ton helped him dominate his competitors and amass one of the great fortunes in American history. Incredible story of persistence, business acumen, strategy and boldness in creating one of the more dominant railroad lines in US History, the Great Northern (today Burlington Northern Santa Fe owned by Warren Buffett). Along with his incredible work ethic and determination, Hill was manipulative, irascible and ruthless but overall did incredible things and perhaps no other man has had as much of an impact on the Midwest and pacific northwest as Hill has had. JAMES J. Hill ranks among the great organizers and managers of the American West. Born in Canada in 1838, Hill moved nearly two decades later to the Twin Cities, where he quickly exhibited the tireless energy and foresight that characterized his entire career. By his early forties he had helped organize major new transportation systems in Canada and the upper Midwest. Within the next decade, he took control of the Great Northern Railroad and drove it relentlessly west to the Puget Sound in one of the memorable engineering and financial feats of the “Great West.” Not satisfied to rest on his laurels, Hill continued to expand and dominate his mushrooming empire until his death in 1916. Hill alienated colleagues as often as he inspired them. Arrogant, self-righteous, sometimes too ambitious, and frequently a blatant bully, Hill lashed out at managers and workers alike who failed to meet his taxing demands of production and loyalty. the author also points to Hill’s excessive pride and his willingness to blink at questionable actions that benefited him and his projects. Although Hill’s family and friends often respected and admired his drive and perseverance, few wholeheartedly loved him. was, in fact, a man of remarkable abilities, determination, and drive. Just as clearly, however, he could be quite ruthless, overbearing, and politically domineering. A true picture of the man can emerge only from an attempt to envision all facets of his complex life and personality, and that I have tried to do. PERHAPS no other generation in all of American history played so fascinating or central a role in national development as the one that, born in the 1830s and 1840s, came to maturity in the Civil War crisis of 1857–67. For this was the generation that not only forged the modern American nation but also worked the industrial-commercial-transportation revolution that formed its modern economy and society. The master of the academy, William Weatherald, had a major impact on the boy, implanting in him a love of literature and the essentials of mathematics and other practical sciences and fostering more than a little of the gentle religiosity of Quakerism. To many, Hill always seemed the embodiment of cold and analytical practicality; but even as a boy, he revealed how realism and romanticism can coexist in the same mind, how in fact the interaction between the two can form the personality. One of Hill’s favorite stories involved how, as he approached age eighteen in 1856, he decided to leave the nest. An itinerant trader from Saint Paul, Minnesota, took a liking to the lad after he had voluntarily watered the man’s horse. Handing him a tattered copy of a New York newspaper captioned “Splendid Chances for Young Men in the West,” the trader said, “Go out there, young man—that’s the place for you.” Jim carried the copy around, reading and rereading it, until it fell to pieces, and now he finally focused his dreams of adventure on a real decision. In selecting his new home, the young man chose wisely, for Saint Paul stood at the pivotal threshold of the dynamically expanding northwestern frontier, a new city barely fifteen years old and already boasting over ten thousand energetic inhabitants. everyone around the Saint Paul levees came to know “Jim” Hill, his name usually rendered as one word, “Jimhill,” a man who always seemed up on anything and everything that went on. Consigning and expediting freight, he naturally learned quickly who was doing what and how things worked. He learned, for instance, how the steamship companies could price-gouge local consumers because of the lack of winter service. In fact, he came to be regarded locally as the prime reason for Borup and Champlin’s reputation for efficiency. He worked incredibly hard, sometimes laboring late into the night, falling asleep at the desk, then getting up for a swim in the river and a cup of black coffee, then going back to work. As he saw it in retrospect, these years formed his apprenticeship, and he learned much more than bookkeeping. He learned how to extract favorable rates from shippers, how to beat back their attempts to inflate rates artificially, how to purchase commodities cheaply and undercut competitors, how to deliver efficiently, and how to cultivate and maintain the loyalties of customers by voluntarily anticipating and looking after their every wish. Kittson became his close friend, mentor, and longtime business associate. Jim would name his firstborn son James Norman in the older man’s honor. As always, he read incessantly. At the time of his marriage, he had figured that once he had amassed $100,000—a modest, little fortune in those days—he would retire and devote himself to a life of study, philanthropy, and fatherhood. But like other ambitiously driven entrepreneurs of his time, he soon abandoned that dream. Eleven years later, at the time he entered the world of railroading, he would count assets of $150,000, and this would prove to be only a modest beginning. The only thing that Hill refused to give his family was more of himself, for he labored long hours into the night with only partial respites on weekends. Aside from rides behind his horse teams and occasional bird hunting, he permitted himself few diversions in his relentless drive to achieve wealth and status. A year later, in partnership with Wellington and George Blanchard, he proudly formed the firm of James J. Hill Company. He negotiated an exclusive arrangement as forwarding agent for the Saint Paul and Pacific Railroad whereby his firm would transfer produce from riverboats to this firm’s rails that pointed westward to Minneapolis and up the Minnesota and Mississippi Valleys. The railroad, which Hill would one day command, leased him a superb riverfront location, on which he built a large warehouse that served as a transfer facility. Meanwhile, Jim Hill vastly expanded his fuel business. In 1869 he and partners Chauncey Griggs and John Armstrong created a concern called Hill, Griggs and Company, concentrating at first on the cordwood business that he had been interested in for several years. Logging primarily off forestlands to the north, they sold heavily, once again, to the railroad, and also to the large home and commercial markets in the fast-growing Twin Cities. But here, as elsewhere by the early 1870s, coal was crowding fuelwood from the market; and as usual, Hill quickly got out in front of the emerging trend. Hill’s rise to the top of a burgeoning local coal business is interesting not only because it formed a cornerstone of his career and generated venture capital for later investments but also because it revealed for the first time his instincts toward what friends would call vertical and rational integration of an industry and what foes would call ruthless monopolization. Thoroughly immersing himself in the details of the business through reading and correspondence, he worked with Chicago agent Robert Law to purchase mass tonnages of high-quality anthracite coal. Then, as the size of his shipments and thus also his bargaining power grew, he remorselessly leveraged railroads to deliver the coal from the Chicago and Milwaukee areas at preferred rates—learning in the process skills that would serve him well when he ended up at the other end of the transportation bargaining table. Ever the pragmatist as well as the tough competitor, Hill also eventually presaged another future characteristic when he abruptly changed course and parleyed with his chief competitors to bring peace to the area coal industry by joining together in a market-sharing consortium. When competition suited him in entering a market, he competed fiercely. But when competition became wasteful to him, he hesitated not a whit to end it, even if this meant joining with old enemies and creating an unblushing situation of monopoly. To Hill, it became ever more clear that the entire valley, all the way to the shores of Lakes Manitoba and Winnipeg, was about to become one giant wheat field. In this enterprise, just as in the fuel business, Jim Hill’s behavior foretold future and larger happenings. He quickly moved from tough, all-out competition to an accord with the opposition. On the Red, his steamboating-forwarding business served as the advance staging arm of a railroad temporarily too weak to move forward to its natural termini. Unlike most Minnesotans, who viewed the Saint Paul and Pacific as a near-worthless derelict, Hill viewed it as a miracle waiting to happen, a potentially wondrous enterprise simply lacking competent leadership. He studied the road constantly, reading every scrap of information he could find about it and boring anyone who would listen with endless detail as to what it could one day be. Thus would his move into river transportation lead naturally to an incredibly promising career in railroading. In short, as railroad historian Julius Grodinsky comments, he possessed a priceless advantage compared with most other nineteenth-century rail titans. Rather than coming from the outside world of finance, as most of them did, he arose from the inside world of freighting and transportation, and he knew this world in all its complexities. He was about to demonstrate how certain well-established, regional capitalists on the frontier could challenge and even best larger eastern interests. One of the hoariest, and most mischievous, of all the many legends surrounding Hill is the story, still widely repeated today, that rhapsodizes about how he built a great transcontinental line without the benefit of a federal land grant. This is considerably less than a half-truth. In fact, the Minnesota and Pacific received an initial grant of 2.46 million acres from the territorial legislature, lands that the legislature in turn had received from Congress. Typically, the Minnesota and Pacific grant lay in a checkerboard of alternating private and public sections, first six and then ten sections per mile of track. Over the next several years, as the nation began its recovery from the Civil War, the Saint Paul and Pacific made little further progress. By 1871, the Main Line reached westward only to Benson, far short of the Red River, and the end of track on the Branch Line remained where it had been four years earlier. Unlike the original transcontinental, the Union Pacific–Central Pacific system to the south, whose charter preceded it by two years, the NP received no subsidy package of federal loans. But it got instead what amounted to the greatest subsidy Uncle Sam ever bestowed on a private entity: a land grant of twenty sections per mile of track in the states it crossed and forty sections per mile in the territories, constituting a vast, forty-seven-million-acre checkerboard of alternating public and private sections sprawling across the “northern tier” of the American West. In sum, this key railroad, like its predecessor, would be a predictable target for speculators, would be hastily and poorly constructed far ahead of demand, and would be naturally entangled with the road that did reach northwest from the Twin Cities—the Saint Paul and Pacific (SP&P). Thus the NP developers, motivated by a federal land-grant policy that encouraged reckless building, isolated the Twin Cities. But he realized better than others that the SP&P had great potential—if, that is, its lines could somehow be completed before the deadlines expired for completing the trackage and securing the land grants. As a steamboater on the Red, he knew the potential value of the farmlands lying along the Saint Vincent Extension, many of these lands the potential property of this railroad. And as a freight-warehouse-fuel merchant in the Twin Cities, he knew well what the SP&P meant to the cities and what the cities meant to the entire rail system of Minnesota. Thus, if properly done, an investment of $5.5 million could yield a near-term return of $19.3 million. And this was only the beginning! Thus, with Farley’s open cooperation, the trio of Hill, Kittson, and Smith began probing to see what sort of offer might be sufficient to interest the Dutch bondholders, who were understandably nervous about their jeopardized investment. In this, their first meeting, Hill and Stephen hit it off well; the two very strong personalities thus began a long lifetime of friendship and give-and-take. Thus prepared, after a frenzied holiday season, the foursome, along with their Saint Paul attorney R. B. Galusha, headed to New York early in January of the fateful year 1878 to meet with Kennedy and his associate Barnes. They found Kennedy eager to close a deal with his Dutch clients, for he genuinely believed this offer to be the best they were likely to get. On January 5, 1878, having come to terms on the precise wording of the offer, Kennedy mailed it to Holland, with the deposit now raised from $125,000 to $280,000. Finally, through some combination of convincing, cajolery, and perhaps promises, the associates persuaded him to stand aside and allow Hill—who was already handling supply and other matters—to take over the supervision of construction. Assigning the direct work to a favorite contractor, David Robbins, Hill now entered one of the most dynamic phases of his life, for the first time engaging in the work of railroad construction. Well equipped by his background and his remarkable astuteness and energy, he would prove remarkably good at it, demonstrating a rare ability to muster and command men and materials and to control both a broad strategy and a myriad of details. Clearly, Billings’s strategy of placing top priority on westward extension had prevailed, and in fact, this NP faction that looked west got something in return. They had run up construction and agreement settlement bills that aggregated well over $1 million, above and beyond their Bank of Montreal loan for the deal with the Dutchmen. On the positive side, however, the SP&P First Division showed net profits by the end of the year of well above $500,000, indicating what a vast earning potential it truly had, as farmer-immigrants poured onto the fertile lands it was opening. Among the associates, only Hill had fully anticipated the road’s true strength. At the time, of course, no one could know the potential value of these securities. On the face of it, the associates had laid out a total of $10 to $11 million and become primary owners of a corporation capitalized at $31,486,000. As the road developed under expert management, though, it naturally increased sharply in value and earned handsome profits. As Albro Martin noted, a full one-fifth share, held until the mid-1880s, would have been worth $4,970,000. But not all the associates held on to their shares. Kittson, aging and insecure, soon sold his. The others held on, and each of them became fabulously wealthy and remained heavily involved in the Manitoba enterprise. Stephen and Smith would soon use their newly acquired riches to build the Canadian Pacific Railroad. Hill would join them for a while, but the Manitoba would always remain the focus of his career and his investments. The associates gloried, of course, in their spectacular success, the product of enormous risks and efforts. But as they looked toward a rosy future of building their property, one ugly cloud hung over their heads—the problem of old Jesse Farley and his nasty accusations. Jim Hill wasted little time, after gaining full control of the Saint Paul, Minneapolis, and Manitoba, in sending Farley packing. Hill showed little sensitivity to the old man’s ego, to his greed, or to his clear ability to retaliate. When Farley confronted Hill in the spring of 1879 with the impossible demand that he be made a director of the new corporation and a full partner in its ownership, Hill dismissed him contemptuously. More pointedly, he told Kennedy: “I have in my possession the names and amounts paid by him [Hill] to bribe the Minnesota legislature.” However, he never produced any such list. Barnes commented in June 1879, “I think the old man has gone crazy with jealousy and spite.” It is unclear what the associates had actually promised Farley. Promising him anything at all was wrong and illegal but admittedly necessary if they were to get the job done. In the last analysis, it seems certain that Kennedy, Stephen, Hill, and Kittson did offer Farley a substantial reward—maybe even hinting at a full partnership—in return for his cooperation and betrayal of his trust. In completing the railroad, he had demonstrated his toughness, his stamina, his unflinching ability to discipline and to fire people, his competence in controlling large work forces, his quickness in mastering the intricate details of finance—in other words, he had proven his mettle. they too now saw looming before them the prospect of a mighty transcontinental railroad. This, the prize of what for most of them was their homeland, was the Canadian Pacific (CP). For George Stephen and Donald Smith, the CP would become the royal road to the highest ranks of Canadian and British society; but for James J. Hill and John S. Kennedy, it would prove to be a diversion and a cruel disappointment. Hill and Kennedy, and eventually Stephen and Smith as well, would find that their future would continue to lie with the Saint Paul, Minneapolis, and Manitoba. To Stephen and Smith, the Canadian Pacific enterprise promised nationalist fulfillment as well as profit. It also promised them, and Hill and Kennedy as well, a western transcontinental linkage to their American railroad and access to huge new markets. Bill.” As it passed parliament in February 1881, the legislation authorized the Canadian Pacific Railroad to link with the Canada Central Railway at Callander, near Georgian Bay, and to run westward to some Pacific port in British Columbia. Generously subsidized with $25 million in direct support and a twenty-five-million-acre, checkerboarded land grant, the road had a ten-year allowance for construction and was granted monopoly protection in that no competitor would be allowed to build to the south between it and the American border. In securing the appointment for Van Horne, Hill accomplished two ends at once: gaining a highly competent general manager for the CP and removing a powerful rival from the Milwaukee Road. When the two men soon became heated rivals, Hill would rue the day he recommended Van Horne for the job. This same intensity and drive made him a very difficult man to work for and with; as his responsibilities mounted, so did his persona as a demanding, even raging autocrat. Interestingly, Hill resembled his contemporary John D. Rockefeller in that he usually did well only by investing in his main area of focus; his many side forays into other projects quite often failed. The one truly notable exception, as we shall see, was his investment in iron ore. Instead, he and his three key partners advocated and practiced a policy of plowing large percentages of profits directly back into the property, knowing that the best defense against invading railroads was a better-built system that could operate at lower rates. With such solid fiscal support abetted by land grants, with such capable management, and with such a rich heartland to embrace, the Saint Paul, Minneapolis, and Manitoba spread its trunk and branch lines like a robust plant during the years 1879–86. Jim Hill worked incessantly at improving every aspect of the railroad’s structure and operation. He traveled back and forth along the line in his business car, looking for dips and bumps and spying out curves that could be straightened and grades that could be lessened. More than any other railroad leader of the day, he had an engineer’s passion for minimizing curvature and grades, knowing that these were the keys to the lower rates that would vanquish any competition. Hill spent hours determining where best to invest—and when—in steel trestles to replace wooden ones and masonry culverts to replace earlier wooden ones. He stopped often to talk to the gangs of track layers and the graders carving at the earth with their horse-drawn blades. Soon, he had all locomotives using coal for fuel and then set about acquiring larger and more powerful ones that could pull equally enlarged rolling stock. Beginning with the main trunk lines, his crews pulled out the old iron rails, sometimes relocating them to the less-traveled spurs, and replaced them with superior highly tempered steel rails. He knew that the best defense against invading roads that were looking for budding branches to gobble up was a well-built system that could outcompete any interloper with rock-bottom rates. One of James J. Hill’s favorite themes, voiced repeatedly in the years to come, stressed the community of interest, the mutual interdependence, between the railroads and the regions they served. The two must, he reasoned, be rich or be poor together; and any regional carrier, even one with a de facto monopoly, would only harm itself if it gouged consumers with excessive rates. He well knew that the rising volume of freight that would come with settlement would far outweigh the value appreciation that would result from holding the properties. Hill genuinely cared about quality rail service and about public opinion. He now became one of the first men in the business to see the looming shadows of coming events and to act accordingly. Assessing the status of his prosperous regional railroad, he came to see it as one component in an evolving national transportation system. The day of prosperous, independent, regional roads must soon end; the future lay in integrated, continental systems that could move heavy tonnages rapidly and without interruption, at uniform and falling rates. Either the Manitoba would find its own way from sea to sea—building its own tracks to the Pacific or integrating existing roads into its own—or it would be absorbed, perhaps by the NP or by one of the Granger Roads linking it to Chicago, the key “gateway” or “break point” for commerce with the dominant Eastern-Atlantic region via eastern trunk lines like the New York Central or the Pennsylvania. So in August 1885, Kennedy arranged the sale of twenty thousand shares of Manitoba stock to the firm of Lee, Higginson, and Company, as agents for the Bostonians. The four associates—Hill, Kennedy, Smith, and Stephen—put up the stock for sale; soon after, Hill and Kennedy made similar purchases of Burlington stock. Marshall Field, who had never been an active board member, allowed Hill to replace him with a young scion of the Bostonians, Henry D. Minot. Thus, a fruitful and portentous alliance was born. Each vessel carried “Northern” as its first name, for instance Northern Light. And each embodied the same philosophy of massive tonnages and low rates that Hill and others were applying to rail transport. Few regional railroads could match it either for solidity of capitalization and infrastructure or for excellence of management. By the time of the completion of his railroad, he would have, indeed, become the single most powerful individual in the northwestern United States. He complained frequently of fatigue and, never a sound sleeper, lay awake through much of the night. The aches of neuralgia afflicted him more and more; and on an almost predictable basis, no doubt as a partial result of stress, he was forced to stay in bed for days at a time with cold or flu congestion symptoms. His near-manic preoccupation with his business gripped him like a demon. The two sons both went to Yale. Partly as a result of their sporadic preparation, each had troubles there, but they eventually did graduate. Observers often commented that the two sons failed to blossom because their father could never wean them—or anyone else, for that matter—from his own close control. Jim Hill made one notable exception to his reclusive home life, and that was his art collection. Soon, he even joined that ultimate paragon of upper-class camaraderie, the New York Metropolitan Club. Now, he was hobnobbing with Rockefellers and Morgans. But his ferocious work ethic, combined with his careful marshaling of spare evening and weekend hours for the family, left little time to enjoy these hard-won social niceties. he was one of the first to comprehend that the day of independent regional roads was coming to an end, that only transcontinental systems offering low through-rates would survive as independent systems. Regional roads, even prosperous ones like the Manitoba, would be swallowed up by the transregional railroads. As everyone knew in 1886, the concerns of Indians meant little in such cases; Indians were passing out of the consciousness of white Americans, into neglect and romantic fantasy. Congressional and presidential approval normally came quickly. But, as Hill fussed and fumed, the key right-of-way bill ground slowly through both houses of Congress and did not emerge favorably until late June. Rumor had it, though, that trouble was brewing; and the rumors proved true when, on July 7, Cleveland vetoed the Manitoba access measure. Almost everyone reckoned that Cleveland’s real concerns had little to do with the welfare of the Indians and much to do with pressure from competing roads, particularly the NP and the UP. So the Manitoba team set out once again to roll the rock up the hill, redoubling its efforts. the Manitoba had become the most Indian-subsidized railroad in America. Although Jim Hill’s road directly received only a part of this once vast kingdom—for easements—the opening of the reserves for white agricultural settlement would provide a midroute hinterland for the Manitoba to promote and develop. The sequestering of the big Butte market was duck soup for the aggressive Hill and allowed him to play the role that would make him a legend: forcing competitiveness on a rigged market. in September 1889, the Minneapolis and Saint Cloud gained a new name: the Great Northern Railway. As the new railroad, destined to become one of the world’s greatest, took shape during the next several months, the rising dominance of James J. Hill became readily apparent. Jim Hill now focused nearly his entire attention on organizing the Pacific Extension. The resulting avoidance of grades and curvature spelled out once again the torah of his credo: a highly efficient, low-cost line that could, better than any competitor, carry long-distance cargoes of heavy tonnages. True to his long-term practice, he would not ask the city for a subsidy to build lines across its expensive real estate; in return, however, the city must donate to him a right-of-way. But he never gave the citizens of Spokane the rate reductions he had promised. He had, after all, an advantage that earlier transcontinental rail builders had lacked. Since they had built rapidly to secure their land grants, they had located their West Coast termini early in the process. In contrast, Hill had built his road slowly, developing its hinterlands as it went. Now, surveying his final link, he had the nice advantage of being able to play coy with established port cities that desperately wanted his proven railroad. And its financial strength, quite simply, lay at the heart of the competitiveness of the newly completed transcontinental: it was tightly capitalized at low rates of interest. Although its land grant did not, generally speaking, extend beyond the western border of Minnesota, the GN also possessed other, more subtle advantages. The GN’s major American transcontinental rivals, the NP and the UP, had both been speedily and poorly built and now needed major reconstruction; and both carried heavy burdens of debt, due in no small part to their Pacific Northwest rivalries. In contrast, the newly completed GN had been methodically and well constructed, over comparatively level and unfettered terrain; although it would need improvements, these could be more easily and more substantially made than those of competing roads. With their large and compelling transcontinental land grants, the NP and the UP represented long and heavy trunks, which were only thinly rooted in the rich, agrarian heartlands of the Midwest. The GN’s main line, on the other hand, was a strong westward trunk, with a healthy and densely intertwined system of taproots in one of the richest cereal crop regions of the world. Part of the notable accomplishment of Hill and his associates lay in simple luck, in being forced by the nature of their enterprise to focus their energies for so long on building infrastructure in their Minnesota-Dakota heartland before undertaking the long, costly thrust west. But more important were Hill’s talents: his remarkable mastery over every detail of what was now a far-flung operation, his vision of the inevitable triumph of transcontinental through-carriers, his insufferable iron will and work ethic, and his recruitment of an able coterie of men like John Stevens and D. C. Shepard. At the peak of his powers, James J. Hill stood, in the turbulent 1890s, on the national stage. in June 1894 that a remarkable 192 U.S. railroads, owning fully one-fourth of the rail mileage in the country, had fallen into receivership. Among these were the wobbly NP, which went down in August 1893, the equally shaky UP, and the Atchison, Topeka, and Santa Fe, now under the tutelage of Hill protégé Alan Manvel. It would always be a point of special pride to James J. Hill, and deservedly so, that the well-built and tightly capitalized GN, unlike its federally subsidized competitors, did not fail during the 1893 Panic. He simply could not delegate authority and live with the outcome. Yet another factor in the GN’s success in weathering the financial storm was Hill’s ability to open new markets and add new tonnages to his trains. These rates opened a booming market for Northwest lumber all the way to the eastern seaboard and the South, but most particularly in the Upper Midwest, and the shipments increased yearly throughout the decade. Eastbound tonnages soon matched, and even exceeded, those bound west, further bolstering the profitability of the railroad. The future, as we shall see, would hold even greater developments in this key growth industry. Jim Hill loved politics, both the bare-knuckled manipulation of favors and patronage and the philosophical discussion of the issues. Hill even plowed $25,000 into the faltering New York Times. All across the GN empire, Jim Hill’s private car became a landmark, frequently only a mythical landmark, pulled up on sidings from Fargo to Olympia, Washington—there to dictate policy regarding rail regulation and other pressing issues. He was becoming a legend in his own time, an ogre to many, a force larger than life to nearly all. In his conceptualization of the Asian market, Jim Hill was both a prophet and a dreamer. He did foresee the remarkable evolution of the Pacific Rim–Southeast Asian economies that would come to fruition more than a half-century after his demise. The Hills, and the other GN investors, were about to reap a dual harvest: from the rich mines themselves, and from freight rates levied on the massive tonnages of ore hauled from the Mesabi to Lake Superior. Generally speaking, the CP held the upper hand in its competition with the GN in the eastern—or midwestern—theater. Morgan made his specialty the refinancing, reorganization, and rationalization of America’s badly overextended and overcapitalized railroads; his “clients” included some of the largest, such as the Erie, the New York Central, and the Pennsylvania. The remarkable management system that he had developed for the GN, which had been generating such ample profits that they could become embarrassing when disclosed, could now be used to improve the infrastructure of the NP. THE remarkable career of James Jerome Hill owed much not only to his remarkable abilities and perseverance but also to chance, luck, and timing. In many respects, he quite accurately reflected the views of his countrymen. He was a true believer in the virtues of unfettered capitalism; he winced at the thought of federal regulation and controls and shuddered at the prospect of socialism or, as he put it, “the menacing figure of public ownership.” Like Andrew Carnegie, he believed that individual initiative provided the key to prosperity and that, given the right opportunities, all could prosper. Hill especially loved to hold forth on four subjects near and dear to his heart: free trade, resource depletion and conservation, agriculture, and of course, railroading. He did not, naturally enough, as a practical businessman, waste much time pondering first principles. He cared most about freight, never frills; and he apparently never considered that newfangled automobiles, trucks, and hard-surfaced roads could challenge rails as the basic transportation infrastructure of America and of the world. Like any other intelligent businessman, Hill saw cutthroat competition as wasteful and as something to be ended. “Combination,” therefore, was natural and necessary—“merely an incident on the road to efficient service.” The only losers in the process were middlemen, who made no real contribution anyhow, and inefficient competitors, who were doomed to extinction. The winners consisted of all consumers, who received better service at lower rates. With the dawn of the new century, however, came a wave of “progressive” sentiment that called for a far tougher regulation of railroads, in the public interest. The epic battle of American railroad history began in 1901 and centered on control of the strategic Chicago, Burlington, and Quincy Railroad (the “Q”). Once Hill and Morgan had consolidated the NP with the GN under Hill’s effective tutelage, it made more sense than ever to forge a connecting link between the Twin Cities–Duluth termini of the two railroads and the great rail hub of Chicago, the “gateway” point for transfers of East Coast traffic with the regions farther west. This would create the sort of regional consolidation that Hill had been envisioning; at Chicago, the “Hill lines” could join to other regional main lines, such as the Atlantic-bound Pennsylvania and New York Central railroads. The “Q” was truly one of America’s best and most-profitable roads. Well capitalized, well constructed, and well managed by two of the giant figures of American railroading, John Murray Forbes and Charles Perkins, along with their New England associates, it served a densely populated and fertile agrarian hinterland stretching across Illinois and Iowa, down into Missouri and out into Nebraska and Minnesota. The problem with the Chicago, Burlington, and Quincy lay in the fact that it was so alluring that it naturally attracted other well-heeled suitors. Indeed, at this very moment it attracted the man who was about to become Jim Hill’s archrival, Edward H. Harriman, of whom it was once said that he feared neither God nor J. P. Morgan. Harriman was a truly remarkable man, one of the most brilliant railroaders and formidable capitalists in American history, whose genius has been somewhat masked behind a partially deserved reputation for shady dealing. To Harriman, the “Q” offered the same advantage it did to Hill: superb access to Chicago and the Upper Midwest. But to him it also offered the counterincentive of a threat; the Nebraska-Billings Gateway extension of the Burlington, in the hands of Hill and Morgan, would allow the NP-GN lines to invade freely the central midwestern heartland of the UP. Thus, in 1899–1900, Harriman had Schiff begin buying up Burlington stock on the open market. An eminently practical man, the courtly Perkins knew well what Hill had earlier ascertained: that even profitable regional roads like the “Q” must either expand to the sea, in order to secure the transcontinental through-rates they needed to compete, or be absorbed by other such systems. He knew that it would be wiser for the Burlington to consolidate than to build on its own westward, through thinly populated country, in such a time of rising costs. The Burlington directors easily persuaded their stockholders, who could choose either the princely $200 per share return or the 4 percent bonds, to turn over their shares, and the Hill-Morgan team now had the key railroad they needed to round out their regional railroad empire. During the ensuing years, the Burlington system, which Jim Hill had acquired primarily for its west-east connections, proved to be equally valuable for its north-south extension. Harriman and Schiff pressed for the allowance of a one-third interest in the Burlington for the UP, to achieve a soothing community of interest. The Morgan-Hill forces turned them down flat. Such an accommodation, they purred, might represent an illegal “restraint of trade” under federal statute. To understand the fierce struggle that now erupted, one must first realize that it involved not just a railroad, or even a group of railroads, but also a contest for supremacy on Wall Street itself. For sheer grit and audacity, Harriman had few rivals, and he now proceeded on a daring, even reckless corporate raid that would shake Wall Street to its very foundations. Since Morgan and Hill had stonewalled his request for a one-third holding in the Burlington, he would proceed to attack them from the rear. He would, instead, stealthily buy control of one of the two parents of the “Q”—the NP! The frenzied search for the scarce remaining shares needed to make a majority for either the Morgan-Hill allies or the Harriman group now set off one of the wildest episodes the stock market has ever witnessed. As speculators sold off other stocks to rush toward the NP stock, its meteoric rise began to disrupt the stability of the entire market. Genuine panic and bedlam occurred on Thursday as the cornered “shorts” bid up the vanishing stock in a final effort to save themselves. In a spectacular surge, the few shares of remaining NP common passed 300, 700, and even touched 1,000! All of this was a part of what Robert Reich has called “America’s first great merger boom,” which crested during the years 1898–1902. In that brief, four-year interval, over twenty-six hundred business mergers took place in the United States, involving assets worth more than $6.3 billion. This sharp trend toward monopoly, or at least oligopoly, produced new supercorporations, or “trusts,” as they were popularly known. Patterned after John D. Rockefeller’s behemoth and dreaded Standard Oil Company, they came to number such familiar names as American Tobacco, American Telephone and Telegraph, and two of J. P. Morgan’s prime creations: International Harvester and the $1.4 billion U.S. Steel Corporation. The public watched these dizzying events with mounting anxiety, fearing especially monopolistic price gouging and a loss of their political power to the new corporate order. Politicians, of course, sensed and shared this concern and proceeded to act on it. The president’s dramatic prosecution of Northern Securities immediately won him popular acclaim as a virile “trustbuster”; and, true enough, over the following seven years, his administration would launch forty-four more antitrust suits against other large corporate combinations, among them such giants as Standard Oil and American Tobacco. But TR was more a politician than a progressive. In fact, he never really believed in breaking up the new supercorporations as a matter of policy. for Hill, the merger truly represented the capstone of his life’s work. Thus, only after several frustrated tries and the passage of sixty-six years would the GN, the NP, and the Chicago, Burlington, and Quincy be formally merged—this time not into the Northern Securities Company but into the Burlington Northern. the demise of Northern Securities meant a severe backpedaling in the extent to which Hill’s three lines could now be managed in a shared community of interest—they could not be truly or meaningfully unified at all. Thus, Jim Hill’s attempt to merge and monopolize the three premier railroads of the Northwest crashed in failure. Perhaps, though, it is more accurate, considering his entire strategy—dating back to securing control of the NP and the Burlington in 1901—to term the attempt instead as a long-term success blunted by a final setback. For Hill was quite correct in noting that the same group of investors still held firm control of all three roads. Their only frustration, admittedly a major one, was their inability to consolidate the roads. This marked a highly significant defeat, but it did not negate the tremendous aggregation of power and profitability that Hill and his partners had achieved during the first four years of the new century—as the coming decade would amply demonstrate. no time have I accepted any salary for my services as President or Chairman of the Board of Directors, since I have felt that I was sufficiently compensated by the increase in the value of the property in which my interest has always been large. To the very end, Jim Hill unfailingly applied his lifelong philosophy, by these and many other such applications, of plowing earnings back into improved infrastructure. As always, attention to and investment in infrastructure formed one of the two core elements in mapping strategy for the GN. The other core element lay, as always, in meeting and besting the regional competition. The CP, with its government support, proved able once again to cause Jim Hill much more trouble on his turf than he could render them on theirs. The SP&S proved to be the superb line that Jim Hill had promised; in fact, it was the best road he had ever built. With the best-graded and most efficient system, the GN supplanted all rivals to become the main Mesabi carrier by 1911, and the profits mushroomed accordingly. Not everything, however, that this remarkable man initiated led to success. A number of his lesser investments ended in failures, and so did at least one of his major undertakings. When Jim Hill first ventured into maritime commerce between Puget Sound and the Orient, he fully planned soon to increase his commitment, applying the same philosophy of heavy tonnages moved at low cost that had served him so well in rails. Thus, while he continued his carrying agreement with the Japanese line Nippon Yusen Kaisha, he now set about the high-risk task of constructing his own line of steamships to enter the business directly. The ships would haul his region’s basic commodities, along with some manufactures, across the sea to the beckoning markets of Asia, bringing back silk and other imports to the United States. He did so confidently, since he had been running big steamships on the Great Lakes for years. Almost from the outset, Hill found his maritime venture, which proved so dissimilar from his railroad experience, a source of unending frustration. Year by year, Hill and his railroad organizations assembled an elaborate system of agricultural research and promotion. All these factors together—new farming technologies and methods, an enlarged homestead act, a massive promotion by regional railroads and their allies, commodity prices rising with global demand, and a wet cycle on the northern plains during the years after 1908—produced the last classic land rush in U.S. history. Having retired as CEO of the Great Northern in 1907 and assumed the title of chairman of the board of directors, Jim Hill forfeited the latter title as well in 1912 and formally retired. And like many of his fellow midwesterners, he railed at the imperialistic financial reign of the Northeast over other regions. In October 1912, Hill purchased two major financial institutions, the First National Bank and the Second National Bank, both of Saint Paul, and in 1913 he merged them under the name of the former. He poured nearly $4 million into the First National, enticing nearly all its stockholders to sell out to him with lucrative incentives; over the next four years, its deposits grew from $17 million to $55 million. Every bone in Jim Hill’s body drew him toward an impassioned stand on the war between Britain, France, and Russia, on the one side, and Germany and Austria-Hungary, on the other. After all, he had been born in the British Empire, had been reared on English culture, and remained fondly attached to his native Canada. Possibly knowing that the end was near, he spent more time now on philanthropy. Blood poisoning caused his death. In this, as in so many other ways, he was without peer, the preeminent builder of the frontier economy of the Northwest. By controlling the transportation structure of the region—a near-monopoly railroad that, at the time of his death, was only beginning to feel the competition of automobiles and public highways—he exercised more sweeping economic power than did any other industrialists, even the lumbermen and mining barons. The fact that, viewed from the distant perspective of an elapsed century, things often turned out differently than he had anticipated should not obscure his remarkable influence. For instance, the iron ores of the great Mesabi deposits have now played out, and the “Iron Range” country of Minnesota is a depressed area. But the historic facts remain that these iron mines represented one of the most graphic of all examples of American abundance, to a large extent fueling the great industrial revolution of the twentieth century, and that Hill and the GN led in their efficient utilization. Much more important, his philosophy of railroading—with its emphasis on infrastructure and the primacy of freight—would live on, not only in these lines but in most others as well. Like most of the other “robber barons” or “captains of industry,” and like most dynamic individuals of any generation, James Jerome Hill displayed what Allan Nevins once called “a sort of lunar dualism.” Beyond dispute, his positive traits were quite remarkable: a quick intelligence and power of analysis, an incredible power of will and personality, and an unparalleled work ethic and commitment. His negative attributes, simply enough, were mirror images of the positive: an extreme irascibility that sometimes exploded into rage, a willfulness that could turn into outright ruthlessness, a cold manipulativeness that he used on politicians and other adversaries, and such a preoccupation with the purpose at hand that he sometimes lost sight of the broader perspective. What does one conclude, in the final analysis, about this remarkable man? Surely, the Northwest will never again witness an individual with such sweeping power, simply because the unique opportunity provided by an opening frontier and a transportation monopoly will never again appear. It is entirely appropriate that the prime passenger train from Chicago to Seattle is called the “Empire Builder” in his memory; for his hand reached into every aspect of building the regional economy and social order, from transportation to agriculture, mining, lumbering, maritime trade, and, not to be forgotten, town and city building. James J. Hill certainly demonstrates the impact one willful individual can have on the course of history. We shall never see his like again, and that simple fact adds yet another dimension to the fascination his life will afford to each new generation. This entry was posted in Books and tagged American History, James Hill, Michael Malone, Railroads on January 31, 2016 by Blas. O’Reilly once again does an amazing job detailing the life and context behind the assassination of JFK by Lee Harvey Oswald. Camelot refers to how people around the world considered the president and his life – an idyllic place where nothing could go wrong. I always knew the popularity of JFK and Jackie but had no idea they were the first power couple and were revered everywhere they went. 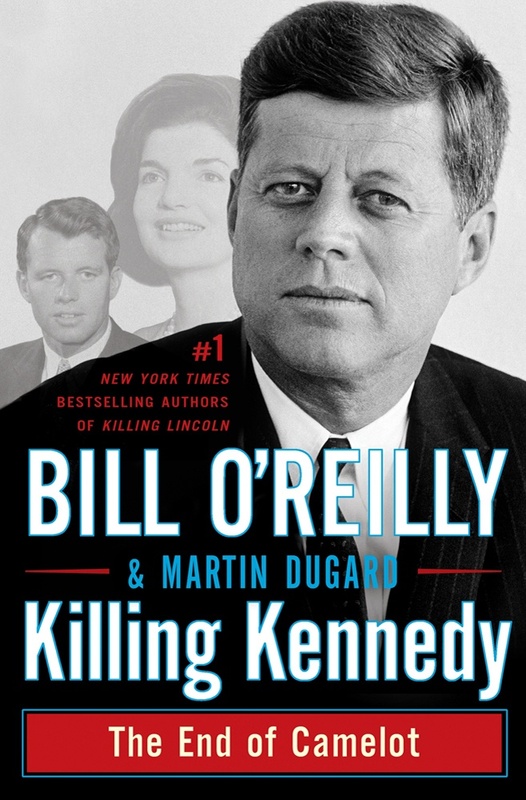 O’Reilly describes JFK’s growth as a leader while President and how his assassination kicked off a series of events that rocked the 60’s and 70’s. This entry was posted in Books and tagged American History, Bill O'Reilly, Biography, John F. Kennedy, Lee Harvey Oswald on May 4, 2015 by Blas. 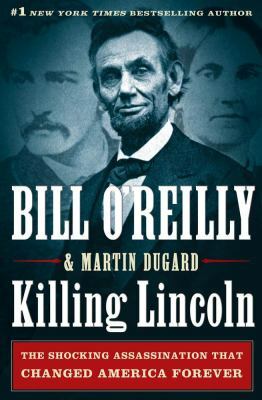 O’Reilly details the end of the Civil War, Lincoln’s dream of a nation once again unified and his untimely end at the hands of John Wilkes Booth. Booth is an extremely charismatic actor and very racist and can’t stand the fact that Lincoln and the North have come out on top. This book is engaging and exciting and brings to life one of the murders that changed America forever. Booth plans everything down to the last detail and has his conspirators kill Secretary Steward and VP Andrew Johnson. Lincoln does not die immediately and is taken to a home nearby but there is nothing they can do. Lincoln dies the next morning at 7:21 AM and Vice President Andrew Johnson is sworn in as the 17th president. Amazing detail around the lives of Lincoln, Booth and Booth’s co-conspirators. Understanding the background story of these people really makes it come to life and brings you back to a different time. If you’re interested in American history or biographies, this is a great read. This entry was posted in Books and tagged Abraham Lincoln, American History, Bill O'Reilly, Biography, Civil War on May 4, 2015 by Blas. 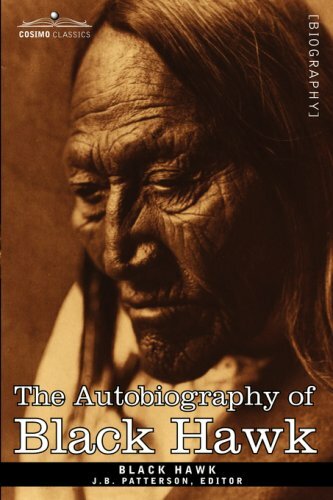 Black Hawk was the leader of the Sauk American Indian tribe and this autobiography recounts his memories growing up, his people’s values and traditions, the wars he fought in, his experience working and fighting against/with Americans and Europeans, his eventual surrender and his travels throughout the United States. Interesting account of time period, wars, relationship between Native American tribes and Europeans. These people had very different mindsets in terms of goals and outcomes. Native Americans followed their hearts and natural emotions whereas the British would follow their strict laws (go into battle knowing they’d lose and pretty much sacrificing their men whereas the Native Americans saw no shame in retreating to fight another day). Fascinating autobiography from a man who saw the world much differently than most Americans did and still do. Much more in tune with nature and the land and would not sacrifice the land for anything. I think we can all learn to be a little more grateful and in touch with the world around us as Black Hawk was. This entry was posted in Books and tagged American History, Autobiography, Black Hawk on January 31, 2015 by Blas. 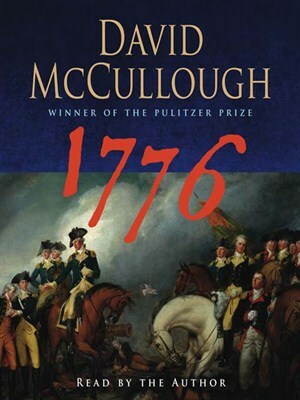 David McCullough outlines the actions and strategies of both the British and the colonists leading up to the independence of America in 1776. Depicts the conditions in America and outlines the leaders of the army and a few who were representing the colonies. It described the American army to be made of undisciplined, poorly armed volunteer force of farmers. The army’s morale was decreasing continually until the New Year, 1776. The British army had the advantage of good discipline, artillery, leaders, and hygiene over the rugged Continental Army. An extremely enticing read which draws the reader in to this extremely important historical time. Interesting to note how unsure the battle was the entire time, that Washington was doubted by his top men and was often unsure of his own ability. However, by never losing his temper, he was able to see things as they truly were, instead of as he wished they were and made better decisions because of it. This entry was posted in Books and tagged American History, David McCullough, George Washington on January 31, 2015 by Blas.